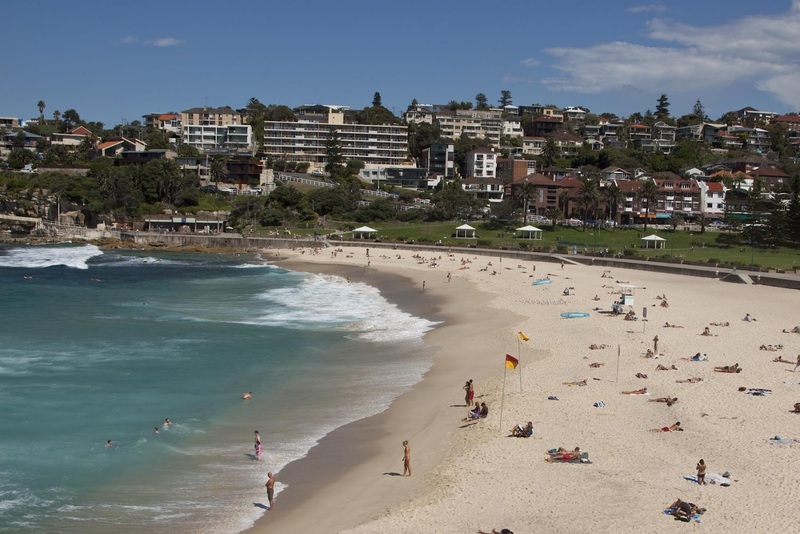 The sun was out so we caught a bus from Circular Quay to Coogee and started the fabled walk to Bondi. 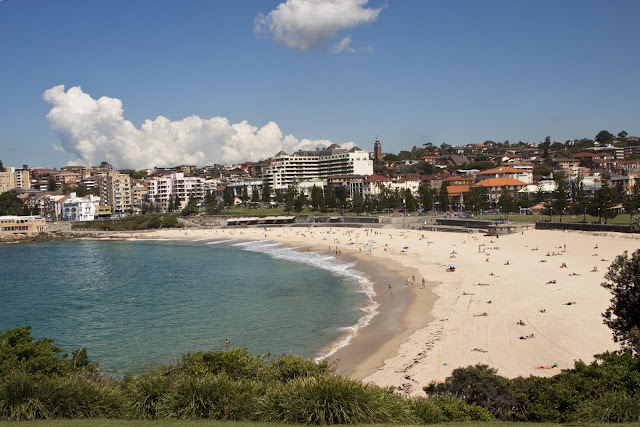 From Coogee the path winds up a hill and through a Dunningham Reserve to Gordon's Bay and round the headland to Clovelly, a popular spot for snorkeling and swimming. 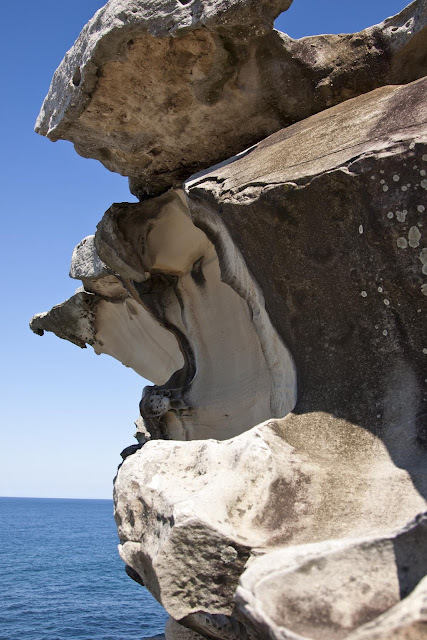 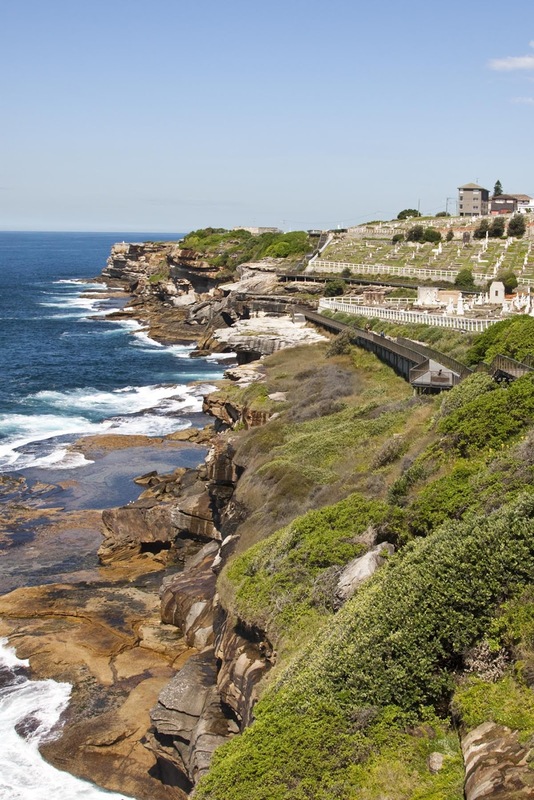 From lovelly Clovelly, the path winds along the clifftops passed the Waverley Cemetery, where the residents have views to die for. 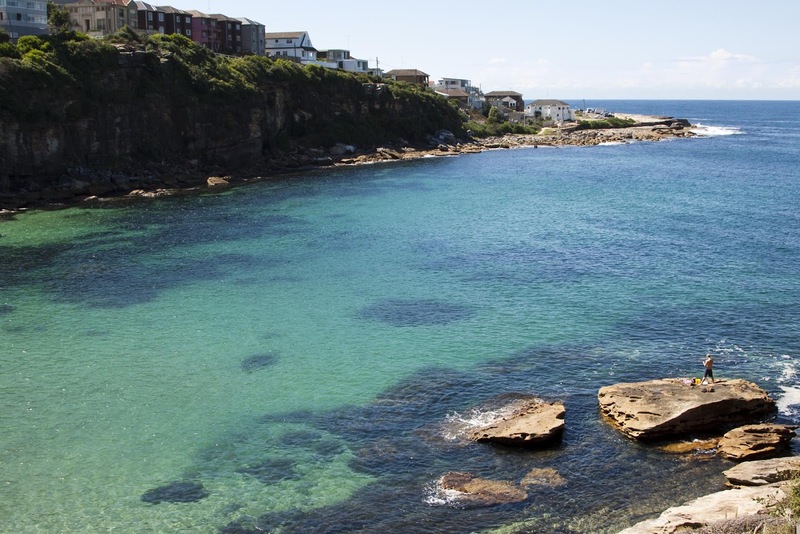 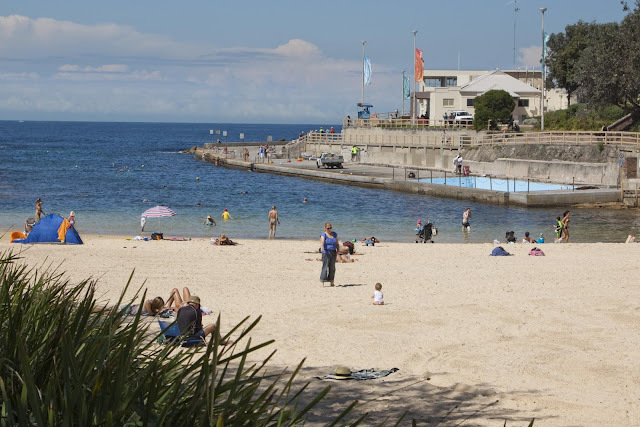 Bronte is a small family beach with an ocean pool. 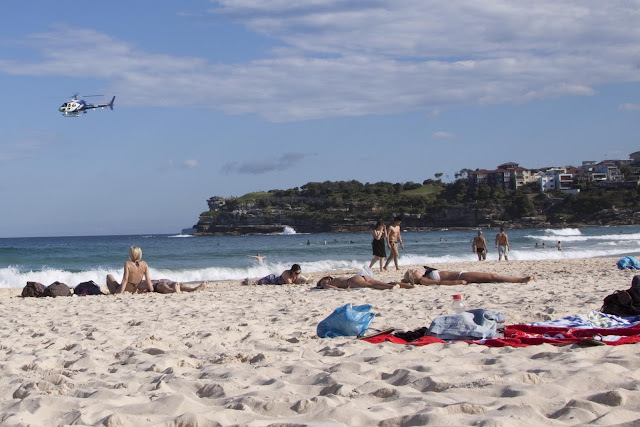 Tamarama Beach, also know as “Glamarama” attracts the beautiful crowd and surfers that can't be bothered with the crowds at Bondi. 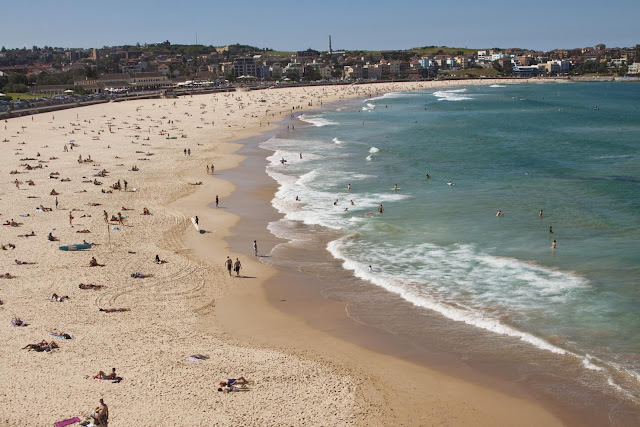 The surf is the only rough thing here. 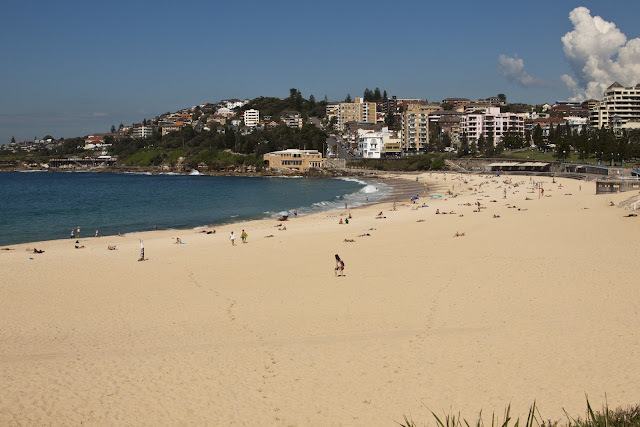 8kms from the start, Bondi came into view! The surf was up, the sun was up and we were happy! Then a few minutes later the clouds rolled in and the sun disappeared so it was time for food and wine. Damn! 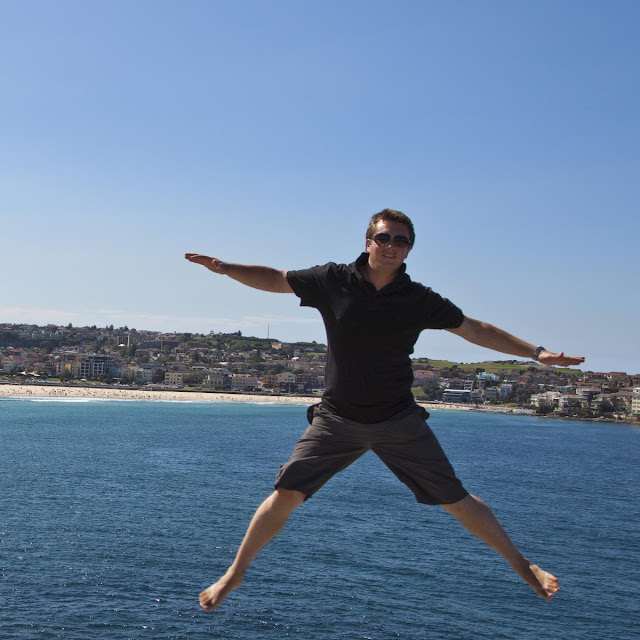 Bondi - Exciting or what? The most famous beach in the world?